Text : For General Accommodation. Pure Copper Preferable to Paper. 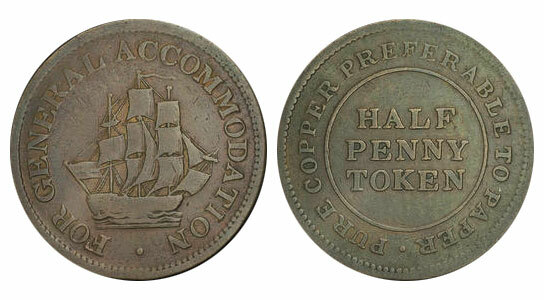 Half Penny Token.